FI Europe is the global meeting place for all stakeholders in the food ingredients industry. It brings together the world's leading food and beverage suppliers, research and developement, production and marketing specialists and showcases the most diverse range of new and innovative ingredients and services. Iran largest trade event for food, food technology and agriculture. Gulfood Manufacturing is the largest and most influential trade show for the food processing and manufacturing sector in the MENASA region. With some 1,500 members, SEPAWA is one of the largest specialist associations in Europe. 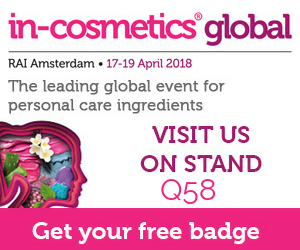 Experts from the detergents/cleansers, cosmetics and perfume industries are part of this association.